Russia has signaled it will continue its controversial build-up of defensive fortifications on a disputed chain of islands near Japan at a time when the United States is increasingly active in the region and has maintained a stance in recent years of voicing support to Japan's claims over the islands. 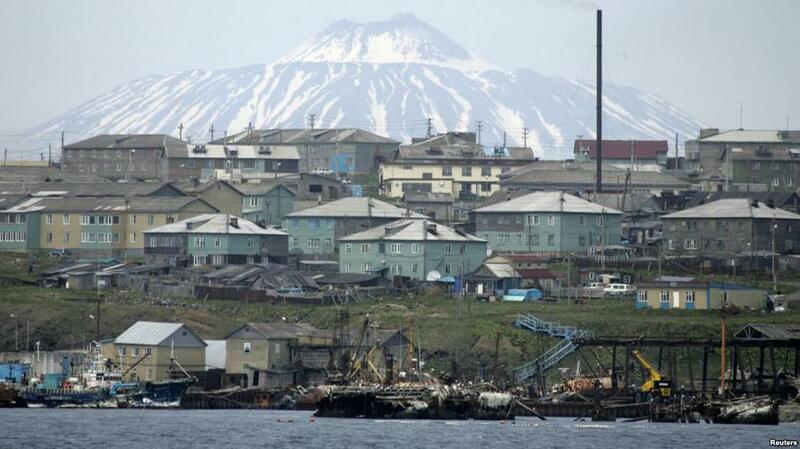 On Monday Russia announced it had built new barracks for troops in the Southern Kurils as they are known in Russia — referred to as the Northern Territories in Japan — and further said there were plans to construct more facilities for armored vehicles, in defiance of Japan's urging Moscow to cease militarizing the disputed territory. 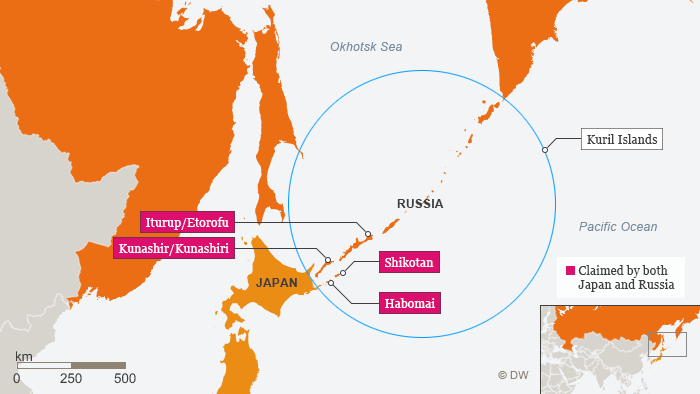 Japan has long urged its powerful northern neighbor to cease its military build-up there, recently promising President Putin that the US would not put its forces there should Russia hand the islands back to Japan. Russian officials have expressed deep concerns that Japan could allow the US military a foothold in Russia's eastern backyard, a legitimately heightened fear especially after Japan’s acquiring and testing of the Aegis Ashore U.S. missile system in recent months, which Russia officials have warned could be placed on the islands should they ever be returned to Japanese sovereignty. Putin and Japanese Prime Minister Shinzo Abe have held numerous face-to-face meetings to attempt to resolve the crisis, which has been a central issue in relations since the Soviet Union seized the island chain at the end of WWII. In recent years the Kremlin has gone so far as to authorize live military exercises and significant troop deployments on the islands, which have been interpreted by Japan as a clear sign Russia maintains them for military offensive purposes. According to a Russian Defense Ministry (MoD) statement, Moscow plans "to shift troops into four housing complexes on two of the four disputed islands" by next week. “Also on both islands we have modern and heated storage facilities for weapons and armored vehicles,” the MoD said. This comes as the Japanese PM makes plans to potentially visit Russia on Jan. 21 to continue talks over the territorial dispute, according to the Kremlin. The Sea of Japan has seen tensions soaring of late after an early December incident involving an American destroyer making a rare passage through waters claimed by Russia, which the US Navy has called "Russia's excessive maritime claims". It was the first time a US destroyer has sailed that close to the base of operations for the Russian Pacific Fleet at Peter the Great Bay since the Soviet era in 1987. 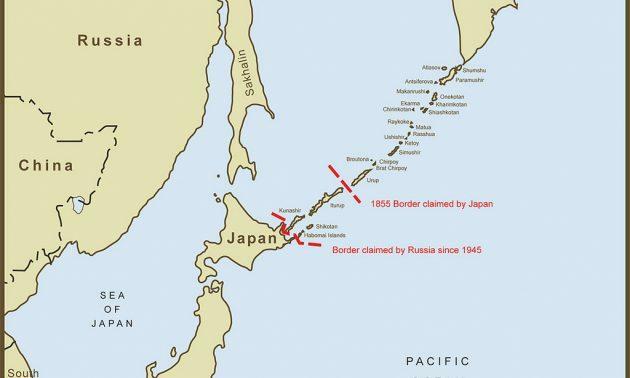 The dispute would likely be more quickly resolved if it weren't for current tensions between the US and Russia on multiple fronts, as the main question that remains is how the U.S.-Japan security treaty, the core of Japan’s diplomacy, would apply in this case, especially the question of whether Washington would maintain the right to put military bases on the islands.